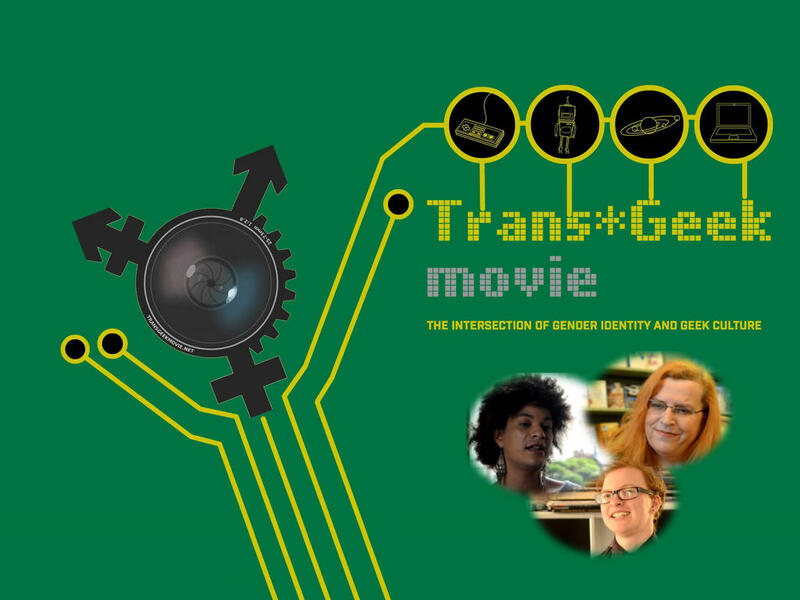 See a Screening of TransGeek! We have a busy few months ahead of us. Before Thanksgiving. 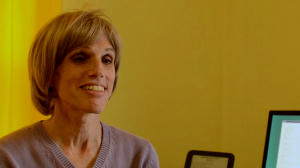 TransGeek will be screened at six festivals and 2 community viewings. We will be traveling to 4 countries, across 3 continents, and everyplace we go we are looking forward to meeting our supporters and fans. Head over to our Screenings page to see where you can find us and how to get tickets. If you are in the LA area we can hook you up with discount tickets to our screening at the Awareness Film Festival on Oct. 5th; but you need to act before Sep. 27th! Go here and leave us your information. 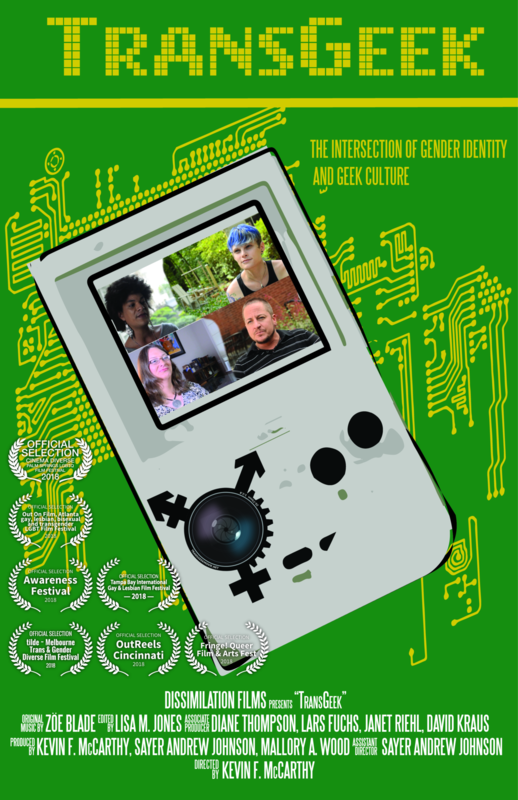 We have been very pleased with how powerful and compelling a film TransGeek turned out to be. And yet, there are those professional touches that make all the difference. 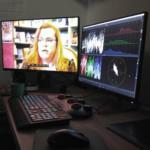 Color correction is one of those touches. I spent last week in New York City working with Aharon Rothschild of Possible Impossible to work on those rough bits that arise when the pressure of getting an interview compromises the quality of the image. The results were dramatic. Ari is a master of his craft, and TransGeek is looking fine. That’s right. We have a screening coming up on Sunday, July 8th in Charlotte NC. Thanks to the sponsorship of Transcend Charlotte, Time Out Youth, and PFLAG Charlotte. we will be doing a free community screening. You can find tickets here. We will be screening at the public library in Ottawa, Ontario on Aug 23rd, as part of Capital Pride! We will post details about the screening time as soon as they are available. …and then there are the laurels. We have been accepted to our first festival! 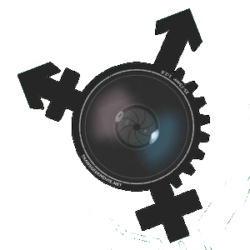 Tilde, Melbourne Trans & Gender Diverse Film Festival; in Victoria, Australia in November. We are very excited, and are looking into ways to travel to Melbourne to participate in the festival. More screenings are in the works, and we await the decisions of more festivals. We will let you know when TransGeek will be in your city. Thanks to all of you for making this all possible. Edit to correct typos, insert color correction image, and delete reference to Luststreifen – Queer Film Festival. Due to a change in personnel at the festival, the acceptance we received was erroneous. While we work on our trailer, we thought we would show a few of our interviews in more depth. Here we are a few selections from our interviews with Anna Anthropy, Alicia E. Goranson, Mattie Brice, Cheryl Morgan, and Tab Kimpton. The footage is uncorrected, and the edit is rough, but the interviews speak for themselves. 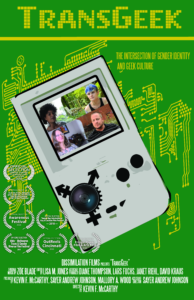 This is the clip reel we showed at GaymerX2. I‘m getting ready for GaymerX2 and the Kickstarter. That means editing; a lot of editing. Editing is hard. Yes, the mechanics of editing are hard; but much harder than the technical aspects, are the decisions about what will not make the cut. Reviewing so many interviews for material for the finished film, and more urgently, the trailer; I am struck by how many powerful, eloquent, and important words are not going to get into the final documentary. I have an embarrassment of riches. So many people have been so generous with their time, and thoughts. Every decision I make hurts. 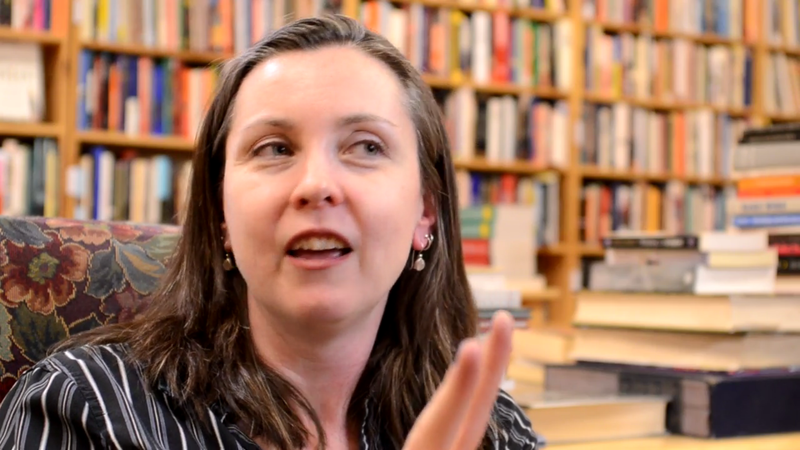 Alicia Goranson quipped at the end of our interview, that she would be happy to see 30 seconds of our one hour interview on screen. I think she will get more screen time than that in the trailer; but her comment does give a sense of the enormity of the task. My goal is to launch the Kickstarter campaign very close to GaymerX2. The vaugeries of moving halfway across the country, the day job, and Kickstarter’s approval process may have negative influences on those plans; but I want to start sharing some of the awesome footage we have recorded. I only have a few more interviews to sync. The new render rig running Pluraleyes is a great time saver. This is a screenshot of my Linux box with an RDP session connecting to the Windows box. 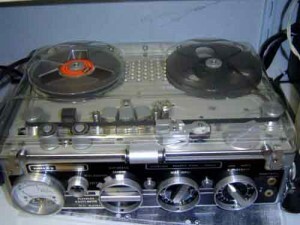 I learned today of the passing of Stefan Kudelski, inventor of the Nagra tape recorder. at age 83. For those that don’t immediately recognize the name Nagra, I can assure you that Mr. Kudelski profoundly changed the way we all hear our world. He invented the first high quality, portable reel to reel audio recorder. They were relatively compact, beautifully engineered, and rugged. These machines revolutionized motion picture production, radio and TV news gathering, and even ethnomusicollogy. I will not eulogize Mr. Kudelski here. Others have done a better job than I could hope to. When I was last regularly involved in filmmaking, the tools of choice for independent producers were often a 16mm Arriflex camera, and a Nagra III. This allowed one to shoot synchronous sound and picture in just about any location. 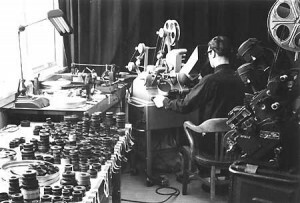 In the early 1960’s equipment like this allowed François Truffaut, and Jean-Luc Godard, to make the films of the French New Wave. In the late 60’s the technology facilitated Film News Gathering, (the precursor to modern Electronic News Gathering; see the excellent film Medium Cool), and Cinéma vérité. The Nagra was a disruptive technology; putting affordable means of production into the hands of independent filmmakers and documentarians. Affordable is a relative term. A Nagra, even used, was comparable in price to a small car. The cost of a motion picture camera was similar. 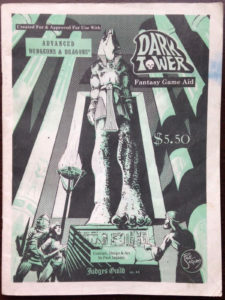 Then there was the cost of film, tape, etc. “Low budget” production was a costly undertaking. 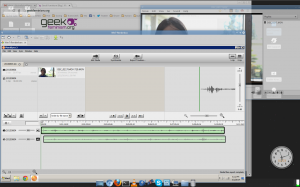 In contrast, when I outfitted the production of TransGeek Movie, all the kit, (camera, digital audio recorder. lights, stands, tripod, recording media), cost me slightly more than the price of just a used Nagra in 1986. Now one can argue the relative quality of 1080p video vs. 16mm film, or 24bit 44.1Khz digital audio vs. analog tape; but I think my point stands: The digital production tools we have available today are making it possible for more people than ever to tell there stories. 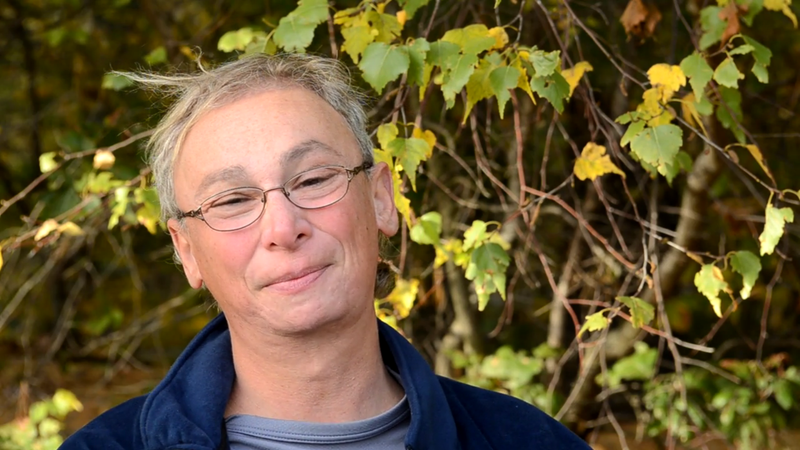 In mid October, I set out for the Boston area to conduct more interviews. Over the course of three days I talked with six people. 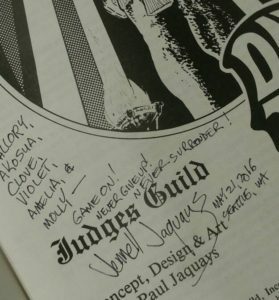 I had the opportunity to speak with some of the creators of my favorite science fiction; both print and audio. With out exception all of my interviewees were insightful and intelligent. I can hardly believe my fortune in being able to work with all of these great people. 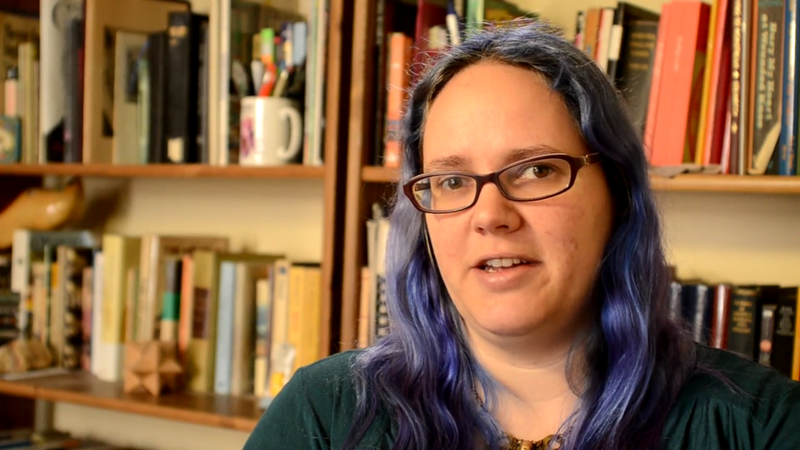 Julia Rios writer, editor at Strange Horizons, and Co-fonder of The Outer Alliance; welcomed me into her home for an on-camera interview. We talked about genre fiction and how some authors use it as a venue for the exploration of gender identity. The Outer Alliance blog, and podcast have been a great resource fo me while researching this film. The podcast is also the frist place I heard the term QUILTBAG. Jennifer Pelland author, most recently, of Machine, Unwelcome Bodies, and a contributor to Chicks Unravel Time, met me for an interview at Back Page Books. 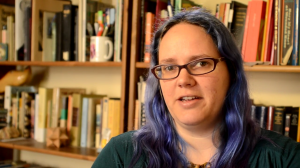 Jennifer deals with many aspects of gender and body image in her Science Fiction. She talked about the power of fiction, and science fiction in particular, to explore and influence societal norms. 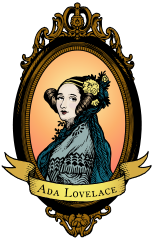 She also expressed some definite opinions regarding gender essentialism in popular science fiction. I also visited with Renate Pyhel electrical engineer, hardware hacker, and musician. We talked at length, both on camera and off, about the challenges of dealing with issues of gender in the context of a technical workplace. She also gave me a demonstration of her amazing Android hacking skilz. 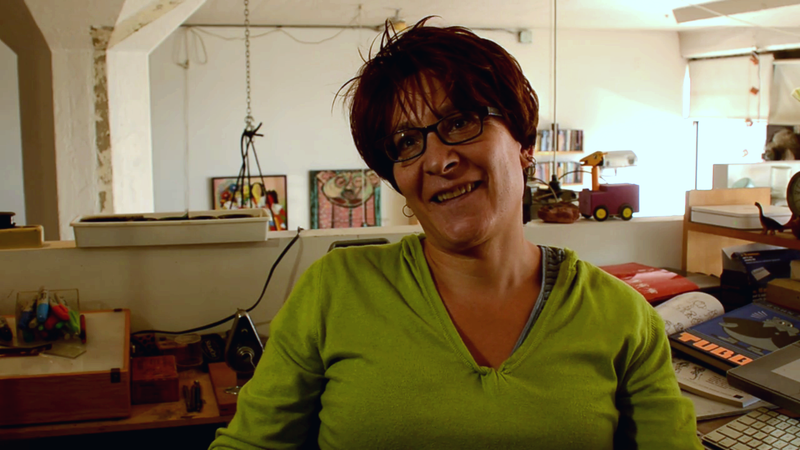 Gina Kamantski animator, sculptor, comic book author, and educator; sat down with me at her studio. She spoke eloquently on the creative process and ambiguity in the intersection of art and gender. Schedule constraints made our interview all too short. Hopefully we will have a chance to continue this conversation at a later date. Susan Wolf, worked as Electrical Engineer in the medical devices industry, until losing her job as a result of transphobia. I interviewed Susan on the topic discrimination in the workplace, and the complex interactions of sexism, homophobia, and transphobia. She had fascinating insights, gained at a great cost to her career. Susan also writes poetry, and read a particularly powerful piece for us. Despite the busy schedule, I did not cover all the bases, and will have to return to New England to conduct more interviews. 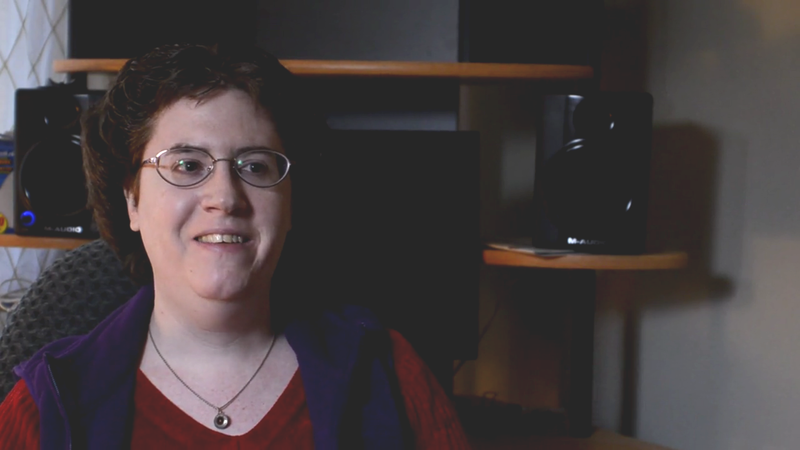 I have been lucky to speak with so many women in science and technology while making TransGeek Movie: From physicists, and astronomers. to computer scientists. Encouraging young women to follow there passions in these male dominated fields is vital. There is strength in all manner of diversity. Please take some time and go visit Finding Ada.